If you want to mix with the same high-end plug-ins used on countless hit records all over the world. 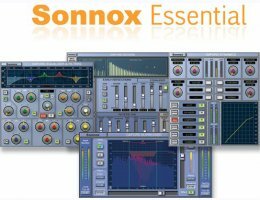 The Sonnox Essential Collection has all the essential ingredients to polish your mix. * GML 8200 option available - Please contact info@sonnoxplugins.com for details. ** the Oxford SuprEsser is a native only plug-in (RTAS, AU, VST).